The youngest Cognac in this blend is aged for long time in Limousin oak barrels (including several years in new barrels). 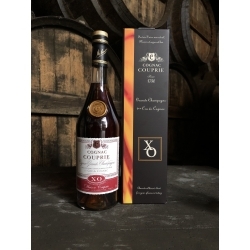 Elegant copper highlights, a lingering bouquet, and a powerful, round flavour make this a very distinguished Cognac. 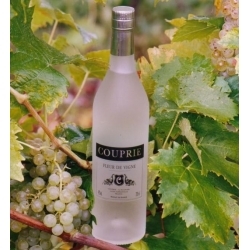 The oaky characteristics and candied fruit flavours coat the palate after the first sip. 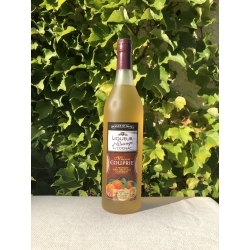 This typical Grande Champagne will find favour with connoisseurs at the end of a meal. The Cognac VS Sélection Couprie has been aged in oak barrels for a few years in our cellars. XO Très Vieille Réserve Cognac Domaine Couprie This amber-coloured XO has a complex range of aromas, particularly hints of honey and vanilla. 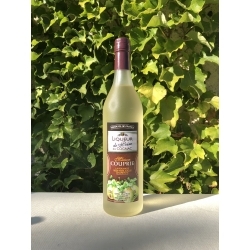 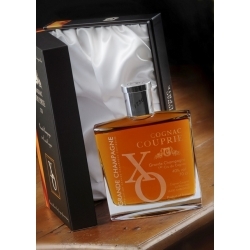 XO Cognac Domaine Couprie présenté en carafe This amber-coloured XO has a complex range of aromas, particularly hints of honey and vanilla. 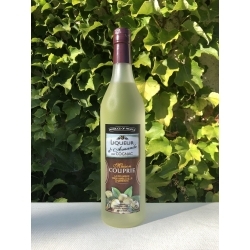 Hors d'Age Cognac Domaine CouprieThis rich, expertly-blended Cognac is distilled in a generations-old 10 hectolitre pot still and aged in Limousin oak barrels in our calm, dark, humid cellars. 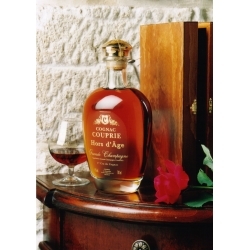 Patient natural ageing has done wonders for this Hors d'Age blend. 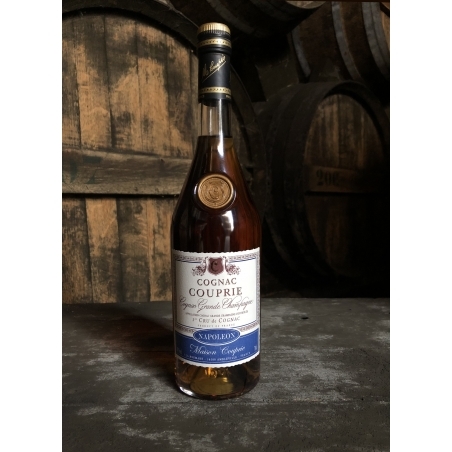 Hors d'Age Cognac Domaine Couprie decanter This rich, expertly-blended Cognac is distilled in a generations-old 10 hectolitre pot still and aged in Limousin oak barrels in our calm, dark, humid cellars. 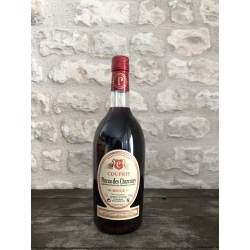 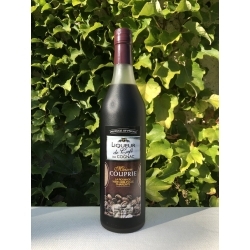 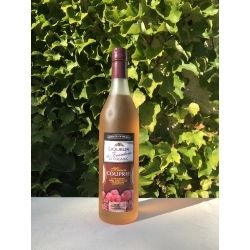 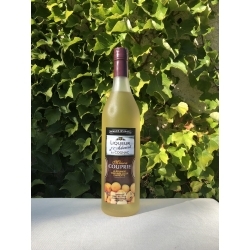 Pineau des Charentes Rouge Couprie : The blend Merlot, Cabernet, and Cognac provides a unique pale ruby-red colour. 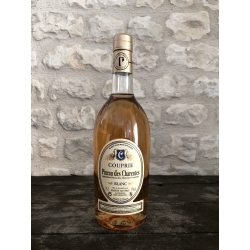 This extra old Pineau is the result of long, patient barrel ageing, which contributes to a sumptuous, elegant bouquet.